As you can probably guess Dark Zone keys are used to open chests in the Dark Zone. 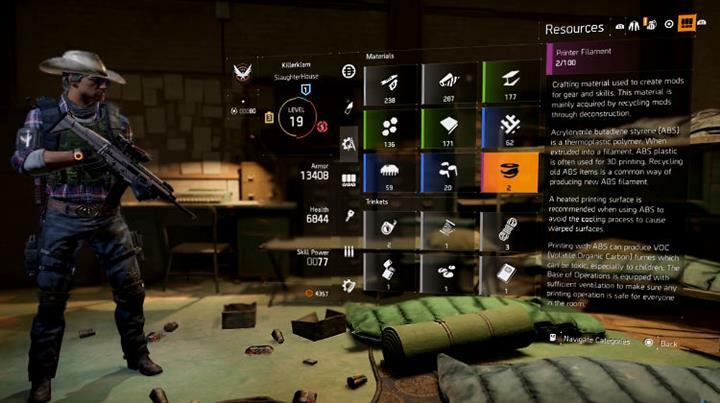 Players collect keys by killing high level enemies (NPC's) in the Dark Zone and then looting the key. The same also applies to PvP human players; you can kill other players and then loot their Dark Zone keys too, so long as they're carrying a key in the first place. Whether a key drops or not is based on both RNG and the level of the enemy you just killed. Killing lower level enemies very rarely causes a key to drop whilst enemies that exceed your level will have a greater chance of dropping a key. Tip: Yellow health bar enemies are major/elite enemies which have higher chance of dropping a key. Named enemies are also BOSS's and have a high chance of dropping a key. The RNG factor is weighed depending on the level difference between you and the enemy. Once you have a key, it's simply a case of finding one of the Dark Zone chests that are located in static areas of the Dark Zone. What do I mean by static, well I mean that their position never changes even if you leave and reenter the DZ. Memorizing the chest locations in the DZ is something that you should aim for early on. Remember, if you're killed by another agent in the DZ not only will you lose XP and credits, but you'll also lose some of your keys. Morgan Library - located down Madison Road at the junction with E 38th Street. Kill the enemies outside the entrance, go up the stairs and you'll find a loot chest. Abandoned Shopping Center - head away from Morgan Library, down E 38th Street to the shopping centre which is located opposite the car park extraction zone. Inside there are enemies and behind them is a DZ chest. Other "Landmark" locations usually contain yellow health bar NPC's and loot chests in the nearby vicinity. Look for the blue icons on the map for additional landmarks to explore. There are three types of containers in the Dark Zone. These small white/grey containers can be opened even without a key and they don't have rank restrictions. The loot inside is usually common items such as guns, ammo, grenades etc. You certainly won't find any high-end weapons inside these containers. They are easy to find because they appear on your radar as little white icons. These containers look like small boxes and they have DZ Rank restrictions, meaning that you can't open the chest unless you're equal to or above the rank required by the chest. If you're rank is too low you simply have to leave the chest where it is and then come back at a later point when your rank is higher. 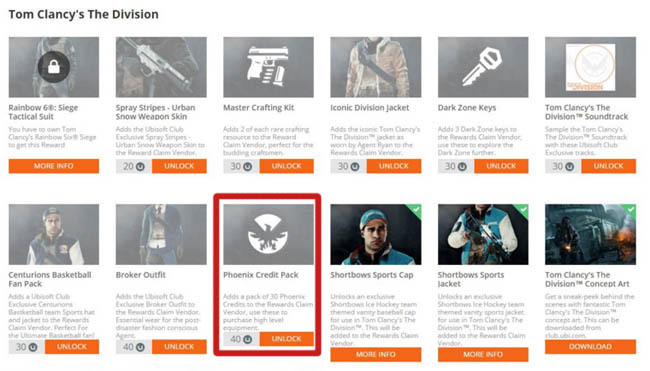 These chests are more decorative than the others and players require Dark Zone keys before they can be opened. In almost all cases, these chests are located close by or behind high level enemies. An easy way to find a chest location is to hunt for a group of low level enemies protecting a yellow bar enemy, this is almost always a guaranteed DZ chest location. In addition to hundreds of credits, the loot inside these lucrative chests is almost always superior, legendary or high-end gear. 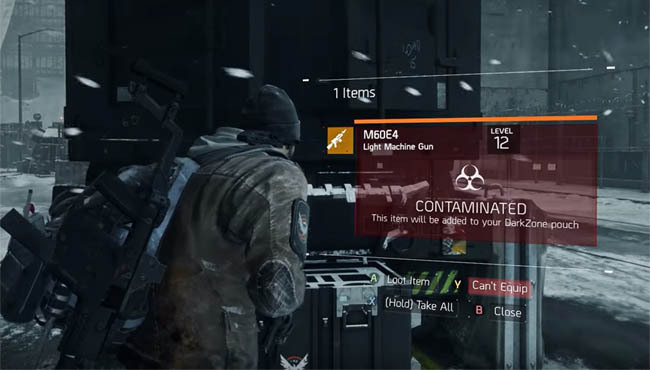 Many players have encountered issues trying to open dark zone chests in the Beta. This is a known issue that affects some but not all players. It appears to occur randomly, affecting players even if they poses a zone key and have surpassed the rank restriction for the chest. Ubisoft are aware of the issue and scheduled maintenance "may" resolve the issue before the Beta ends but it's more likely to be a priority bug fix for the release in March.